Clinical Psychologist, Jamila Solomon, specialising in work with children, adolescents, and families affected by a range of issues including behavioural and emotional difficulties, autism, and anxiety. She has extensive experience in the assessment, diagnosis and treatment of child and adolescent developmental, emotional, and behavioural difficulties, and a background in behaviour therapy and early intervention for children with autism. Jamila draws on a cognitive-behaviour therapy framework and is trained in numerous evidence-based child and family interventions, including Parent Child Interaction Therapy (PCIT), the Integrated Family Intervention for Child Conduct Problems, and the Confident Carers Cooperative Kids Program, which focus on treating behaviour difficulties and attachment issues; and the Cool Kids and ProACTive programs for treating anxiety in children and adolescents. Jamila is passionate about cutting-edge, research-informed practice, as shown by her research. In 2013 she received the University Medal for her work comparing ABA and iPad autism applications as interventions for young children with autism and presented this at the International Meeting for Autism Research (IMFAR). 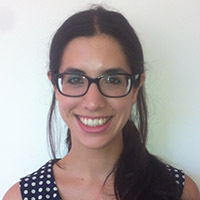 She has also evaluated the behavioural outcomes of computer-based neurocognitive training for children with ADHD. Currently, she is a Clinical Psychologist on a randomised controlled trial at UNSW looking at PCIT for children with behaviour issues and callous-unemotional traits (e.g., lack of empathy/guilt). Jamila is focused on tailoring individualised and innovative interventions, including play-based therapy, and working directly with children and adolescents, their siblings, and their families. She is an advocate for working collaboratively with families and educators to ensure a holistic treatment approach. Her ultimate interest is providing support to children, adolescents, and families that will promote their long term emotional and psychological wellbeing.